Identify the four main types of biochemical reactions (oxidation-reduction, hydrolysis, condensation, and neutralization). Describe the role of enzymes in biochemical reactions (related to activation energy). 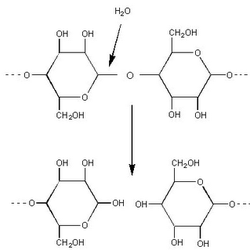 Use models to explain how enzymes catalyze reactions. Describe the factors that affect enzyme activity. Identify various enzymes and their functions in biological systems. Complete a laboratory investigation of the effect of concentration on enzyme activity. Enzymes are biological molecules that act as catalysts. 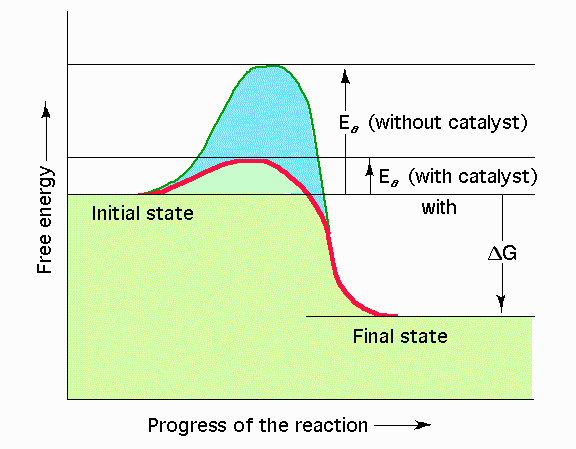 Enzymes reduce the activation energy required to start a reaction. Thus, if less energy is required, the reaction will occur at a faster rate, reaching equilibrium faster. Without enzymes, biochemical reactions would occur at a rate that is too slow to sustain life. TED-Ed is a great resource for online learning. There are a wide range of videos to suit your curriculum needs. The videos are accompanied by quizzes, and additional information. Better yet, if you don't like the lesson that is created, just flip the lesson and create your own! Just click on the links to the right to take a look at some examples covering enzyme activity.